Nigeria's First Lady Aisha Buhari has returned from her trip to Mecca, Saudi Arabia. The First lady left Abuja on Monday, August 28, 2017, to take part in this year's hajj pilgrimage in Mecca. 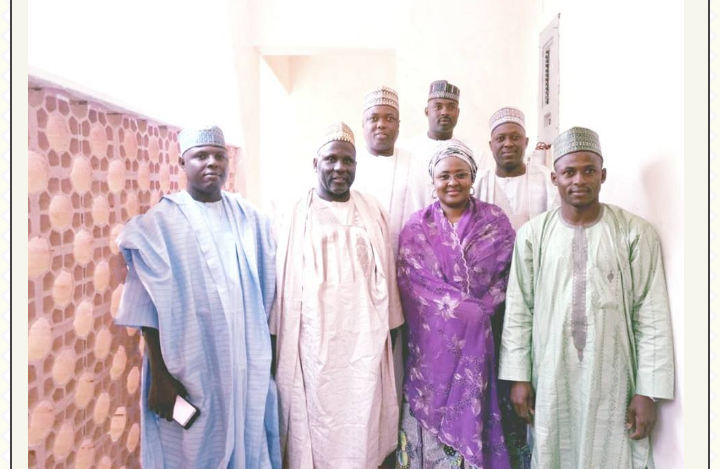 Mrs. Buhari was seen with family, friends and others as she took part in the Sallah celebration with her husband who is already in his hometown in Daura, Katsina state.